ERNEST "Maphepha" Sibanda was barred for the second time in a row from contesting the Highlanders' executive chairman position by the club's board on Tuesday. 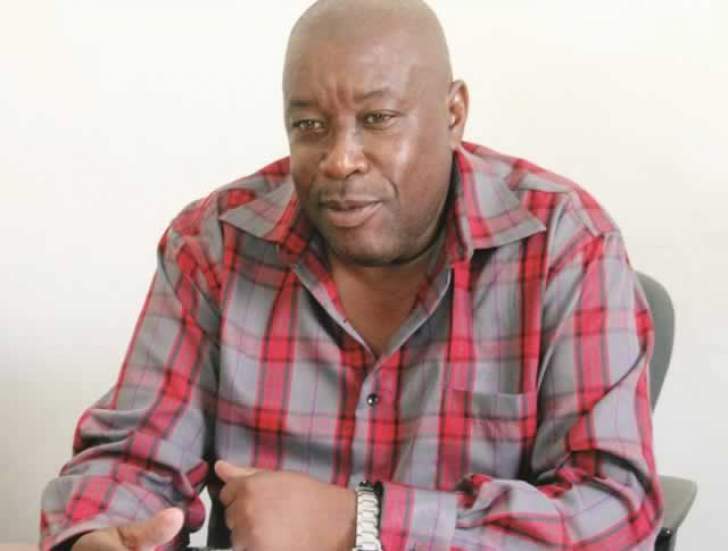 Sibanda, a former Bosso chairman, had submitted his nomination papers last week to contest for the club's top post against businessman Kenneth Mhlophe in the February 4 elective annual general meeting. However, a 275-worded letter from the Highlanders' board secretary, Matthew Sibindi ended Sibanda's quest to lead the Bulawayo giants. The board said Sibanda was not fit to stand for such high office at the club. Sources said six out of the 10 board members voted against Sibanda's candidature while the other four felt he should be allowed to stand. In the letter signed by Sibindi, the board accused Sibanda of rendering his services to a rival club despite being pardoned in 2012 to enable him to participate in club activities. Sibanda was appointed Bantu Rovers' chief of protocol in 2015. The letter said should Sibanda ever seek office at the 92-year-old club, he must start from the lower echelons and not the top post, which in this case is that of executive chairman. "I have to advise that the full board of Highlanders Football Club met on Tuesday, 23 January 2018 to consider your appeal. The following verdict came out of the deliberations of the meeting. "The board felt that since you were pardoned in 2012 to enable you to participate in club activities, you have not shown your commitment to the club in terms of community work. The board also realises that you are one of the most experienced members of the club by virtue of the different posts you held at the club. It was therefore expected that you should have voluntarily used that experience to further the interests of the club. "It was noted that you offered your services to another football club, but you did not do so to Highlanders Football Club. For proper and full rehabilitation, you have to, after the pardon, start from the lower structures of the club and not to bounce back at the helm of the club, especially considering the financial misdemeanour you went through. "For the sake of good corporate governance and to bring confidence and trust to our sponsors and potential sponsors, you have to take this important fact into consideration. In view of the above, it was therefore resolved that the board agrees to fully rehabilitate you on condition that your participation in the club administration and management should start at the lower echelons and not this top post, which is the executive chairman in this instance. That your candidature following your nomination is therefore not confirmed because of the facts given above," Sibindi wrote. Sibanda had on January 16 written to the board appealing for complete rehabilitation status to participate in the club's activities, despite serving his three-year "sentence" for embezzlement of funds, which was handed down on March 20, 2010. In his letter of appeal, Sibanda said he was grateful to the club for the re-instatement of his club membership and the right to participate in some of the club's activities such as nomination and voting. "In view of the reasons given, I hereby appeal to the club to grant me complete rehabilitation status allowing me to participate in all activities of the club, including administration and management. I have respectfully and dutifully served and abided by the club's verdict and decision on my case since it was meted out. All my life I have given myself to Highlanders as an institution, as a player, manager and chairman. As such I am still prepared to plough back my experience to the club. "My whole life is inextricably tied to Highlanders, a significant number of current members, be they life or ordinary, have approached me urging to me to apply for the complete rehabilitation status in the club so as to enable me to enter the race for the post of chairman in the club's pending election. It is my belief that in the process of democracy, it is critical to provide the electorate with options of choice in terms of candidates. "Thus, if cleared to enter the race, I will definitely broaden the choice options and perhaps avoid a scenario where only (one) candidate is available for a critical position. Through the growth and development that the club has afforded me since I joined as a player, I want to assure the board that my appeal is out of my own volition and conscience and nothing else as I am not anybody's person when it comes to my commitment to Highlanders," Sibanda wrote to the board. Sibanda's manager, Fiso Siziba, said the board ought to have met well before his camp picked up nomination papers. "We strongly feel our candidate has been prejudiced and his rights as a member of this great institution totally trampled upon by a few unelected people serving sinister vendettas, which shall be laid bare to the public soon. "This is clearly meant to denigrate this man and insult his public standing and we shall be responding to the board telling them clearly that we don't accept their bully tactics," Siziba said.